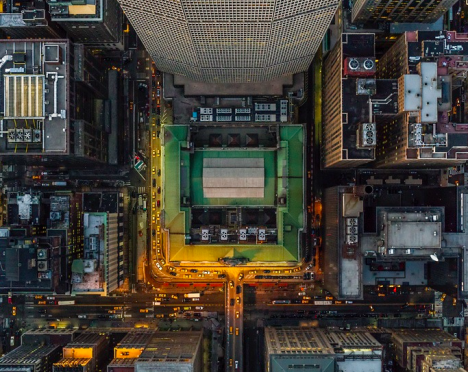 No matter how far and often you might wander around your city, there’s one way you most likely never get to experience it: from above. 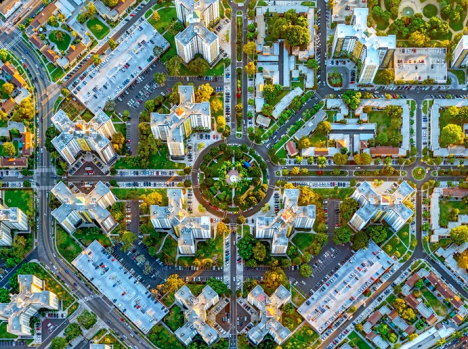 Approached from directly overhead, the bird’s-eye-view renders virtually any urban scene unrecognizable, reducing landscaped streets and towering skyscrapers to mere shapes within an abstract composition, as if it’s a work of art. 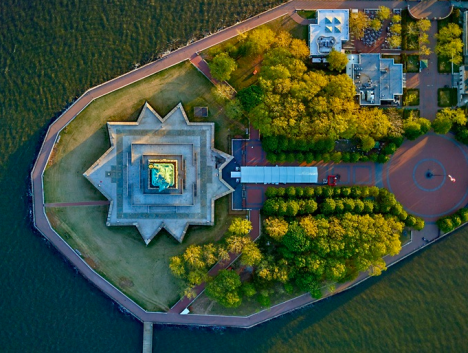 And perhaps, for some urban planners, it is. 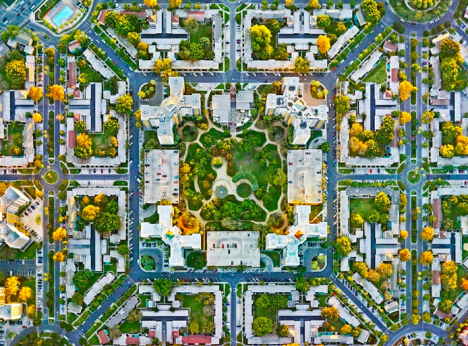 Thanks to photographer Jeffrey Milstein, we can all appreciate New York City and Los Angeles from a new perspective. 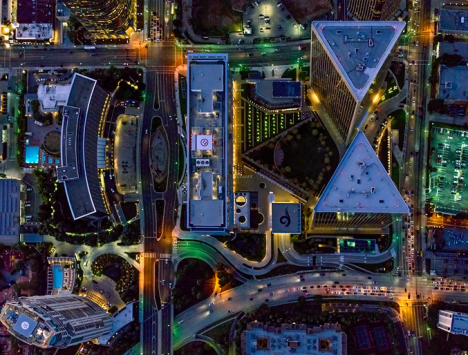 Captured from a helicopter both at night and during daylight, Milstein’s aerial imagery of these two iconic American cities presents entire neighborhoods as tapestries of geometric shapes. 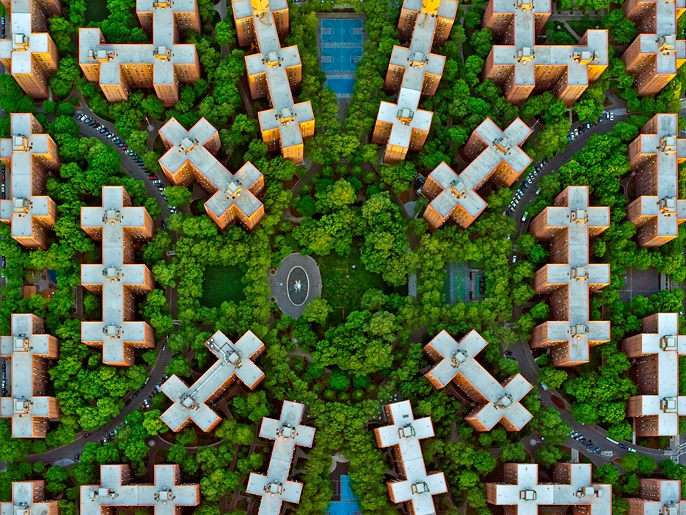 New York’s Stuyvesant Town looks like a bunch of crosses embedded in greenery, and the Statue of Liberty is strikingly jewel-like on its island. 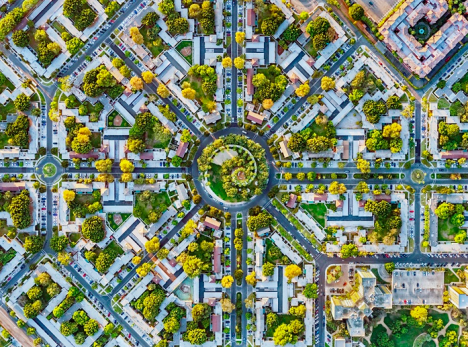 Some of LA’s most posh neighborhoods are unsurprisingly picturesque from above, laid out in their carefully-arranged grids and often centered upon parks. 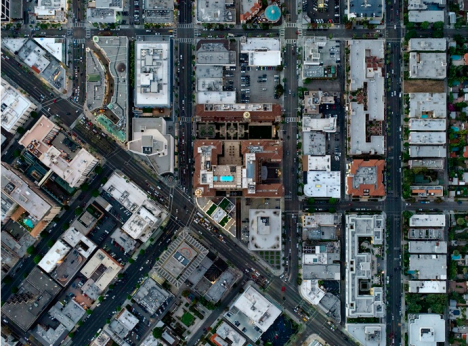 In comparison, the shots of downtown look downright bleak, sort of like you’re looking at a circuit board rather than a full-scale city. 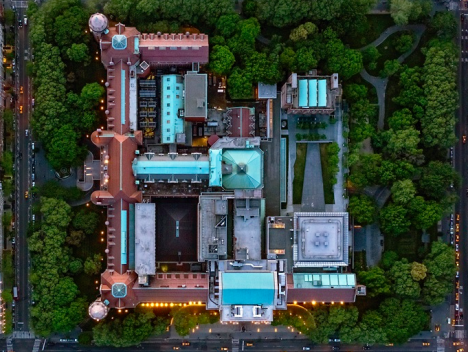 The photographs are on display now at New York’s Benrubi Gallery and LA’s Kopeikin Gallery. 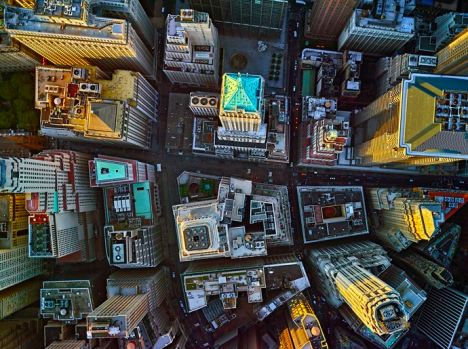 If looking at the pictures gives you vertigo, good, says Milstein. That’s the effect he’s going for. “That’s exactly what I want. 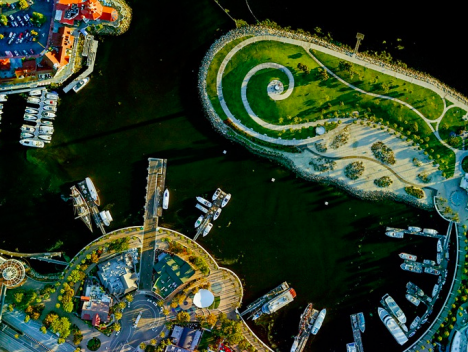 To get a visceral reaction from it,” he told City Lab.